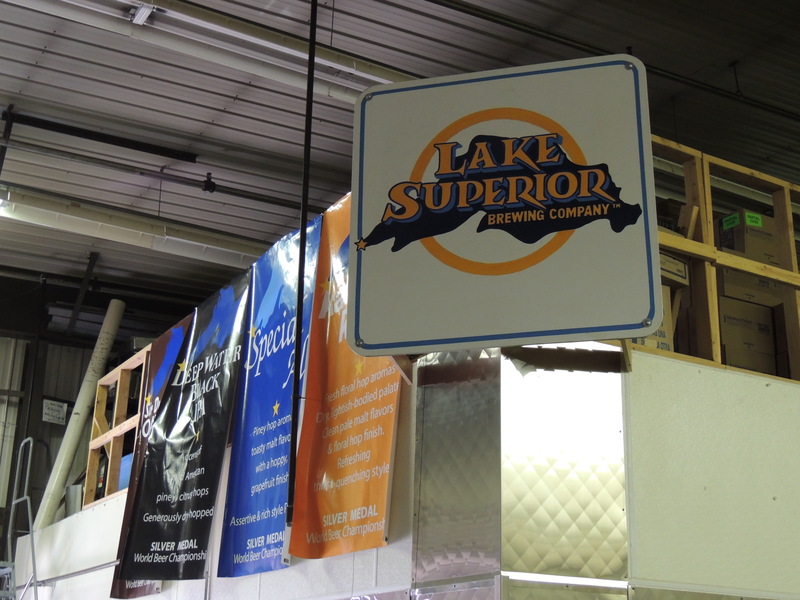 When Lake Superior Brewing Company started back in 1994, they were one of only a handful of craft breweries in the state. Lake Superior’s presence on liquor store shelves has been a constant over the years. 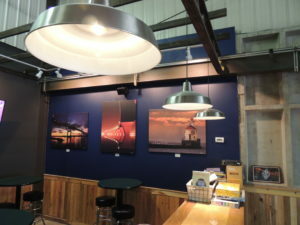 On a recent trip up to Duluth, I stopped in to visit their taproom and chat to their taproom manager about their beers and how they fit into the ever-growing Duluth beer landscape. 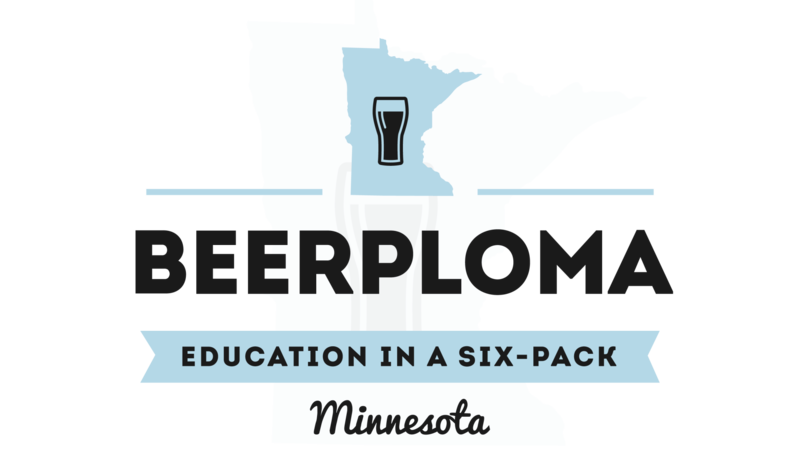 This visit was inspired by a chance meeting with Ashley Lewis, the Lake Superior Sales Rep, at the Better Beer Society University class. Ashley was kind enough to pass my information onto Lisa Blade, the new owner of Lake Superior. 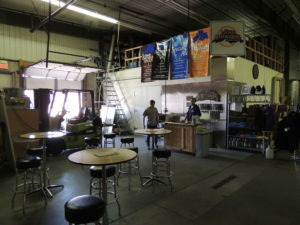 Lisa assured me that the Taproom Manager would be there to answer questions and have some beers ready for me to taste. The Lake Superior taproom is cozy and quaint. You literally sit in the brewhouse. To some, this is not as cool as the chic aesthetics of Surly or the new Bent Paddle. However, I strongly believe there is something to be said for a quiet and relaxed atmosphere when it comes to sipping on a pint. There are a few quirky things about the brewery that you should know before you visit. First, you really need to have your eyes peeled or you will drive right past the entrance like I did. The brewery is on the end of a strip mall tucked away off of the main street that the entrance is on. Second, you have to walk through a few hallways to actually get to the taproom. 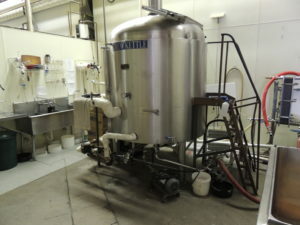 Luckily, you can just close your eyes and follow the malt smell and you will be there in a few seconds. Once you are there, you will notice, as I did, that half the space looks like a bar, and the other half looks like a brewery. The beers are listed on a chalkboard about the tap handles. I am familiar with several of the Lake Superior beers, but I never had the pleasure of enjoying them fresh from the source. Upon arrival, I was greeted by the Taproom Manager, Rick, and a bartender, Sean. I literally had the place to myself and this was good because I didn’t feel guilty peppering these gents with questions. Sean graciously poured me some samples and we chatted about the taproom. They said that the night before was busy due to the Bent Paddle Festiversary and a bachelor party that stopped through. 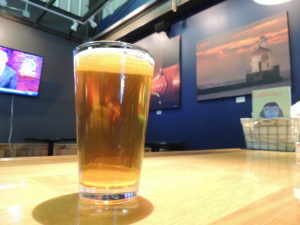 Lake Superior often has live music on weekends to draw people in to have a pint or two. Of the beers I tasted, the Kayak Kölsch and Sir Duluth Oatmeal Stout were my favorites. However, all were well-made with no big flaws; a sure-sign of consistency and why they are still up and running in an ever-growing beer city like Duluth. This is probably the beer that they are known best for in the summer months. A clean and crisp Kölsch that is refreshing. It was recently put into a 12 oz. can and should be readily available in your area. I liked the light biscuit malt that also had a touch of honey sweetness. This malt-forward beer has a delicate caramel note in the flavor that I thoroughly enjoyed. This beer is also available in cans and is a nice middle of the road between hoppy and malty. It has a decent body to carry the malt and the presence of earthy hops are there for balance. I think this beer would appeal to a lot of people and if you haven’t tried it before, I would encourage you to seek it out if you like red ales. This one was just ok to me. Its hop presence seems muddled and like it lacks identity. Rick said this was their hoppiest offering, which was surprising given the time of year. By no means does every place have to have an IPA. However, if your hoppiest offering is a pale ale that doesn’t showcase the hops, it will be a problem for patrons who are craving a hop-forward beer. On the 77º day, a stout is usually the furthest thing from my mind. Yet, this beer is one I have seen out in the marketplace and so I wanted to try it fresh from the source. After the Kayak Kölsch, this was my favorite beer from Lake Superior. Great body, nice chocolate sweetness, and a modicum of roast that is perfect for this style. This would be a nice beer to pair with great conversation and a few one-liners with friends. 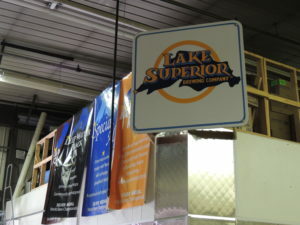 All in all, I enjoyed my visit to Lake Superior Brewing Company. After the craziness of the Bent Paddle Festiversary, it was a nice change of pace to have a different taproom experience. Aside from having to pretend I was LaraCroft, the Tomb Raider to find the bathroom, everything was good. I am happy to see that Lake Superior is under new ownership. Under the previous ownership, the brand was languishing. The previous website looked like a 1997 Geocities site and their social media presence was weak, at best. Lisa Blade has a clear understanding of what it takes for a brand to stand out in a crowded market like Duluth. Lisa is putting more of an emphasis on social media and branding. Ashley Lewis is mobilizing a sales team to help get more people familiar with this brand. 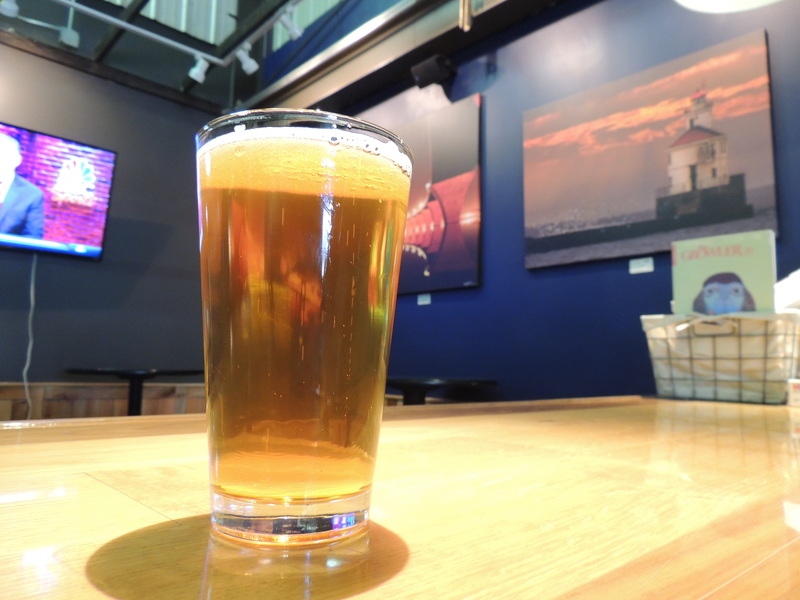 As the part of Duluth where Lake Superior is located continues to add restaurants and more places to drink, Lake Superior will see more taproom traffic. I think people will appreciate its Spartan decor and amenities because, first and foremost, a place should be about the beer. Lisa warned me that it would be different from Bent Paddle’s taproom. However, to borrow a line from an old Arby’s ad campaign, different is good.